Calling all citizen scientists, hikers, families, students, educators! Do you enjoy watching plants change through the seasons? Would you like to help researchers study the effects of climate change? Workshops will teach volunteers to monitor plants and gather phenology data, including when plants leaf out, flower, form fruit and other seasonal changes. 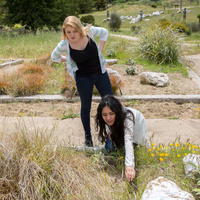 No experience necessary--we will provide hands-on training in the UC Santa Cruz Arboretum Native Plant Garden. The data you collect at this workshop will be uploaded to the USA National Phenology Network's database and is accessible to anyone, including researchers and policy makers. Arboretum, Please check in at Norrie's Gift & Garden Shop.